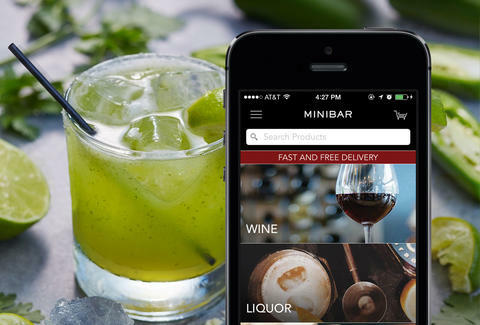 SF is becoming more terrifyingly convenient every day, and now you may literally never have to leave the house again, thanks to Minibar: a booze delivery service that'll bring you wine, liquor, and beer IN LESS THAN AN HOUR, pretty much anywhere in town. THE FUTURE IS HERE. 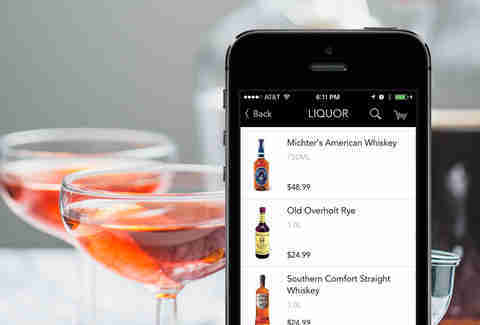 Available on web, iOS, and Android, Minibar lets you choose from a pretty decent inventory available at a nearby liquor store. Even better: while it obviously has wine, beer, and just about every type of liquor you could want, Minibar will also deliver mixers, garnishes, and even ice. Oh. And delivery is FREE. You can filter the selection by price, type, brand, and -- since this is SF -- your options are legitimately things you want to drink. Of course, there are also cans of Bud if that's what you're in the mood for. No judgment! Though delivery is free, you should probably tip the guy, especially if you get the guy who shows up in head-to-toe Niners gear, 'cause he's the best. 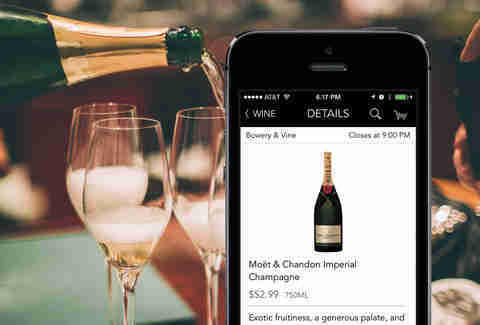 The app lets you choose how much you want to tip, but it recommends 10-15%. Cheers! Daisy Barringer is Thrillist's SF Editor, and between Minibar and GrubHub she may never leave the house on a Friday night again, which she is secretly really stoked about. Follow her on Twitter @daisy to keep her company.